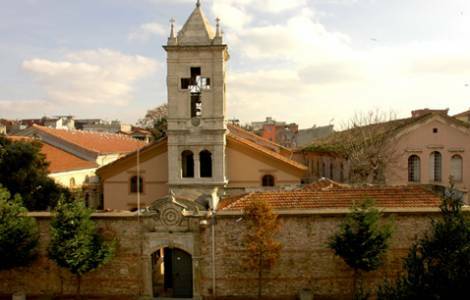 Istanbul (Agenzia Fides) – Within the Apostolic Turkish Armenian community protests and division continue regarding the results of the process of election of the new Armenian Patriarch of Constantinople, with see in Istanbul. The bi-lingual Turkish-Armenian weekly Agos reports the appearance in the past week in Istanbul, in the district of Kurtuluş and Feriköy, the appearance of anonymous posters criticising Archbishop Aram Athesyan, former “locum tenens” of the Patriarchate who in August was replaced by Archbishop Karekin Bekdjian, who now plays a key role in the internal affairs of the Patriarchate, after the Turkish authorities cancelled the entire electoral process started in 2016 to choose a successor to Patriarch Mesrob II Mutafyan, affected in 2008 by a disabling neurological sickness. Reportedly the police in Istanbul started an investigation to identify those responsible for the unauthorised posters. In early February (see Fides 23/2/2'18) the office of the governor of Istanbul cancelled the electoral process started in 2016. The Turkish authorities denounced «the absence of conditions necessary» for the electoral process to proceed , since Mutafyan was still alive and according to Turkish law a new Armenian Patriarch can only be installed when the post becomes vacant with the death of the predecessor. This move by the Turkish authorities caused fierce reactions in the Armenian community. The matter was the subject of a new appeal by the supreme spiritual Council of the Armenian Catholicos of Echmiadzin, launched at the end of its assembly, denouncing the inconsiderate attitude of individuals and ecclesial groups within the Armenian patriarchate of Constantinople which opened the way for “external interference”, including those of Turkish political apparatus. The Armenian Patriarchal See of Echmiadzin, with an appeal issued on 22 February which stigmatised internal division and argument among important members of the hierarchy of the Armenian Patriarchate of Constantinople, recalled that the interests of the Patriarchate are above all individual aspirations. As reported by Fides (see 27/1/2017), following the election – 15 August 2016 – of Archbishop Karekin Bekdjian as the new “locum tenens” of the Patriarchate, to replace Archbishop Aram Ateshyan, and after the constitution of a work group to advance the electoral process, official letters sent by the Armenian Patriarchate to the Turkish authorities calling for the procedure to elect the Patriarch to resume went unanswered . Since August last year (see Fides 15/9/2017 and 17/10/2017) several clues revealed the aversion of the Turkish apparatus towards the then locum tenens Bekdjian, and confirmed on-going division and antagonism within the Armenian Patriarchate. (GV) (Agenzia Fides 4/4/2018).